The 2019 Suzuki TU250X revitalizes the retro cruiser style while matching modern design and efficiency. This classically styled motorcycle comes with spoked wheels, a round headlight and a low-slung tapered muffler. 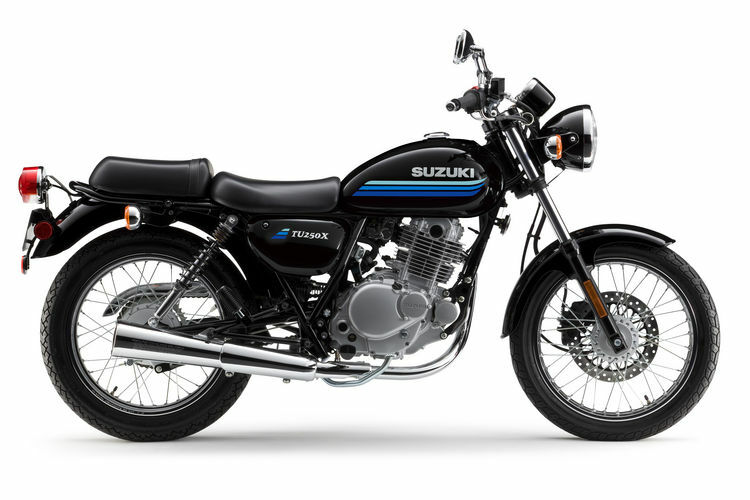 Don't let the retro-look fool you, though—at its heart is a modern, fuel-injected single-cylinder Suzuki engine. This complete package is a classic standard motorcycle that matches modern conveniences and reliable performance with a fuel-efficient ride. The TU250 is an economical, user-friendly standard motorcycle with high-quality features and traditional style, coupled with modern engine performance.